Learn how to make the most of every thrift store shopping trip. Need a new interview outfit? 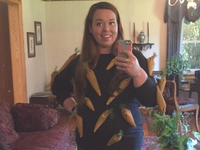 The best Halloween costume ever? Kicking off an exciting home makeover? We've got the tips you need to find all the treasures our stores have to offer. 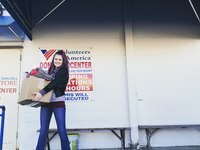 Whether you're new to the magic of thrifting or are a seasoned thrifting pro here's a look at what you can expect at Volunteers of America thrift stores. Columbus fashion blogger Candace Read shares her thrifting adventure and how she found a chic date night look for less than $20. It shouldn’t be a big secret how thrift stores operate, sort donations and how much they value the clothes and household items donated by community members like you. Shop on a budget while maintaining your style at any of our Ohio thrift stores. Pun costumes can be clever and funny ways to stand out among the sea of ghosts and witches this Halloween. In one easy trip to your local thrift store, you can donate your old clothes and go on a new spring clothes shopping spree that won’t break your piggy bank. Capri, from Craftinista Girl, shares her tried and true thrifting tips that will help you save you time, money and find hidden gems within the thrift store aisles. 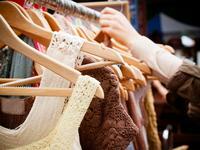 Thrift Stores: Stores that sell donated and gently used items. Thrifters: The folks that seek out thrift stores for economical shopping. They may be on the hunt for vintage items or shopping for their homes and families. Thrifting: The shopping for, and donating of items at the thrift stores. Betters: Designer items for sale in thrift stores. Yes, you can find your favorite designers, artists, and brand names at the thrift store. Bricky: Everything that isn't clothing, e.g., picture frames, glassware, pots and pans, etc. Half-Price Tuesday: (The best day!) On the last Tuesday of every month, all thrift items are 50% off. Check out how these people turned their finds into a payday of their own! 100% of our proceeds support programs to help those in need. About 3,000-4,000 new items are added to the sales floor each day. No item is on the sales floor for longer than 6 weeks. Stay up to date with with thrifting tips, DIY ideas, coupons, and upcoming sale dates!